I went to Hardcastle Crags today with Tom Holmes in the hope of capturing some of the lovely autumnal colours that are abound at this time of year. 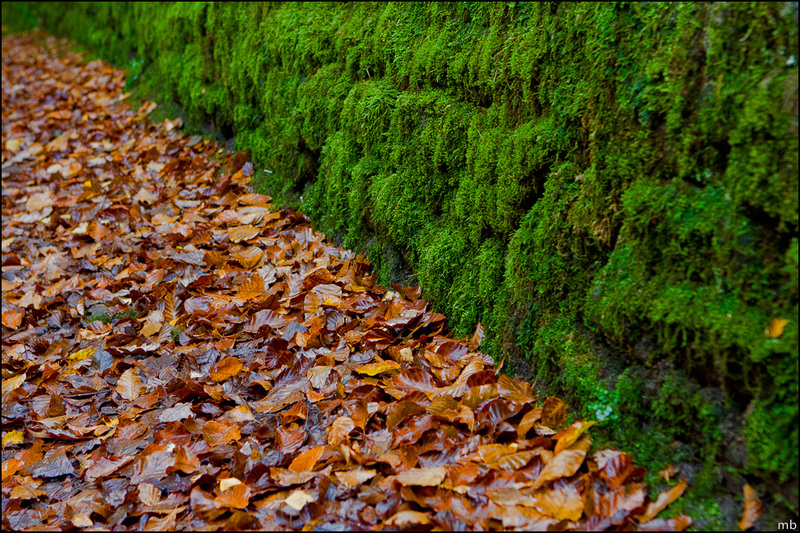 After a short walk down towards Gibson Mill, we stopped to take some photos of the leaf-covered pathway. This has had minimal post processing (as usual, hover over for the original). Just lifting the tones and popping the colours a little. Also, something I’m pleased with…..absolutely no cropping at all. It may not be to everyone’s tastes, but it’s rare I ‘spot’ a photo then end up with something that resembles my imagination. This was one of those successful times, it’s exactly how I imagined it. I rather like this one Marcel, the contrast between the greens and the browns, the diagonal lines that lead through the picture and good use of depth of field. Thanks very much Patrick. It’s absolutely brilliant and very much inspired! Is there any news of a commission? I do hope so.